We all desire to live our lives as well as possible. That is especially most true when we find ourselves at the end of our lives. 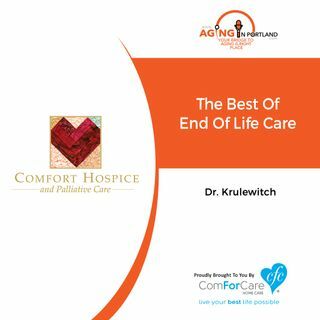 Dr. Krulewitch of Comfort Hospice shares that living as long as possible can be the antithesis to living as well as possible. Dr. Krulewitch brings a lot of wisdom to the many decisions we will all face as we confront the last days of our lives.